Search Engine Optimization (SEO) is integral to a successful digital marketing strategy. When your website achieves a search ranking on the first page of results above your competitors, it's like receiving a recommendation from Google, or one of the other search engines. With a high ranking, search engines are telling users your company is the authority on whatever subject they are searching. Just like working to become an authority in real life, creating a website that is deemed an authority takes patience, persistence and knowledge. So we interviewed Brittany Heidtke who, after nearly a decade in the digital marketing field, has quite a bit of all three, and who we, and many others, consider an authority on the subject. Brittany has specialized in everything: paid search advertising (Google Adwords, Bing, Facebook, LinkedIn, and Twitter), email marketing strategy, social media strategy, and of course, SEO. She has worked to grow five-person start-ups to 75, consulted for Fortune 500 companies and everyone in between. Currently, she runs Clark Street Consulting, a marketing firm that helps small and medium size businesses take their digital marketing to the next level. PPR: Most people have heard about SEO and understand that it influences a website's search ranking. Can you describe, at a basic level, how it works? 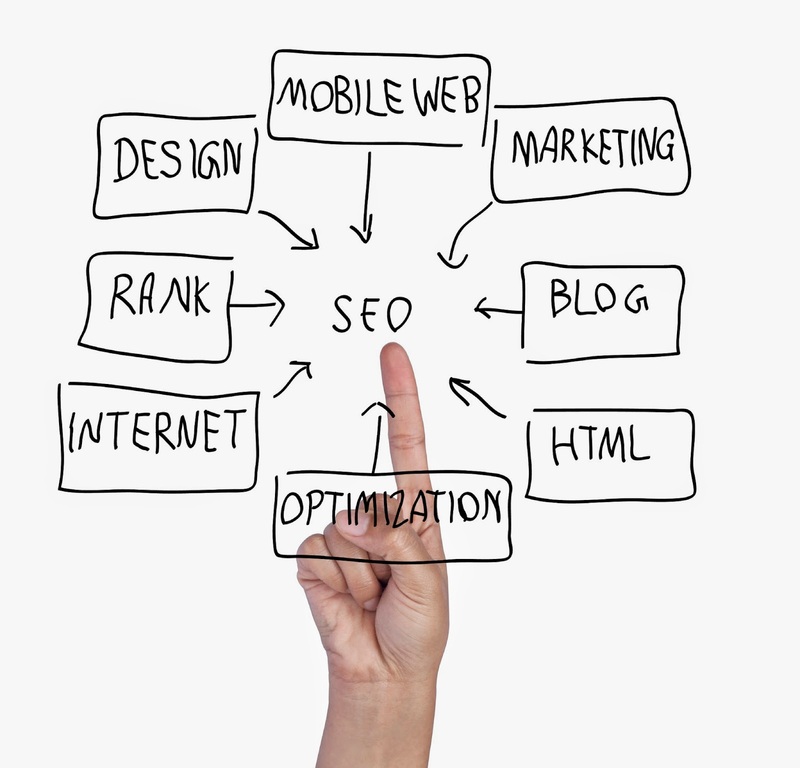 BH: SEO stands for search engine optimization. What it means is that you’re doing everything you can in order for Google (and the other search engines), to understand what content you have on your site and when it should call up your site within the search results. The things that Google, and others, look for are a combination of how relevant the content on your site is to what a user is actually looking for, how recent that content is, how many inbound links are pointing to your site from other quality sites that are similar to yours, among a variety of other “secret algorithm” factors that they don’t like sharing. Really what it comes down to at the end of the day is that Google is trying to give users the results that will help them with their search. So, you should concentrate on creating good, quality content that will give searchers the best experience and answer their questions. PPR: Do SEO rules and guidelines apply to all search engines, or does each search engine employ a different algorithm? BH: Each search engine has their own “unique” algorithm, but they are all very similar. Because ultimately, they are all trying to give users content that is the most relevant to their search. They all have that same goal. What people normally say is optimize for Google (since they have the biggest market share of searches) and you’re most likely optimizing for Yahoo/Bing as well. PPR: When you are hired by a company, what is the first thing that you typically do for them? BH: The first thing that we normally do is figure out what its goals are and then figure out what it has done previously to obtain those goals. That gives us a good jumping off point. From there, we’ll do a deep dive into the organic and/or paid traffic coming into the site and how it’s getting there. Based on the keywords already driving traffic and the company’s goal keywords, we can decide how to optimize the site to get the most traffic. PPR: What are some of the most common SEO issues you see? BH: Something we saw in the past was companies who were talked into buying links from scammy sites, because it was a quick win. Google laid down the hammer last year, and websites were penalized in the rankings for doing this. The biggest challenge those companies now face is that they must disavow those links within their Google Webmaster Tools and try to build again. So they’re basically at square one. When it comes to SEO, you always have to think “Is what I’m doing good for the end user?” If the answer is no, more than likely, Google will eventually penalize you for doing it. Even if it gives you a short-term gain, it will come back to bite you in the long term. PPR: What are the worst SEO mistakes companies make on their websites? BH: I think one of the worst mistakes a company can make is to create a home page entirely of images without any text. SEO is all about telling Google what your site is about. By just giving them images, they’re not able to gain any insight into why they should show your site in the search results. PPR: We know that SEO is not an exact science, but what is one thing a company can do to improve its search ranking and start driving more traffic to its website? BH: I would say to always be adding new, relevant content to your site. Google's algorithm takes recency into account, so having fresh content is one quick and easy way you can improve your ranking. PPR: Content and social media marketing are real buzzwords right now. Should these be considered separately from an SEO strategy? Or, are they all part of a broader online marketing strategy? BH: All of these pieces should be considered together in a holistic marketing strategy. Everything you do online will have some affect on SEO, good or bad. Adding fresh content is key to an ongoing SEO strategy, so content marketing and SEO go hand-in-hand. And having a social presence that attracts visitors by sharing that content helps spread the word about your site and may earn you inbound links to your site from the new connections. Everything plays a part and everything really works together. PPR: When does it make sense to create a paid search campaign? Or, should every company be using paid search? BH: It makes sense to have a paid search campaign when you have the budget to spend on paid traffic and you have the time to work on both paid and organic traffic at once. Paid search is a quick way to drive traffic to your site, but you need to have the time to spend on it daily to make sure you’re getting the correct traffic and that traffic is behaving how you want in your conversion path. If you don’t have time to optimize these things, it will be a waste of money, and you’ll sour on the idea of paid search. PPR: You also help companies run email campaigns. What is the most important thing to remember when creating an email campaign? BH: The single most important thing to remember when thinking about sending an email is what you want the user to do after they read your email. Do you have clear call to action? Is it simple for them to understand? Most likely, you want them to visit your website and order or read something, so make that easy for them to do. Use a button or a well defined link to direct them where you want. And remember, people like to skim, so don’t get too wordy! And of course, always run tests, because what you think is the best way is not always what will resonate with users. Have a burning question about SEO? Leave us a comment, and we will find you the answer. I have a question regarding SEO. What are the kind of backlinks you think works the most at this point of time except PBN? Dallas SEO expert supplying complete search engine optimisation, research advertising, social networking, and specialist electronic digital marketing services. This is an extraordinary rousing article.I am basically satisfied with your great work.You put truly exceptionally supportive data. Keep it up. Continue blogging. Hoping to perusing your next post.